To me, the most important thing in my day is reaching my goal. Now, not everyone has daily goals. Many have a goal that’s a lot further away. I really try to plan out my days, weeks, months, and even years in advance, so setting a goal to reach is great. It holds me accountable. Setting that daily or weekly goal doesn’t have to be a huge task to accomplish or overcome. It can be something fairly small such as, having all my school work completely finished by Friday. Depending on what classes I’m taking that could actually be a bigger task! haha. The moral of having goals is that you are telling yourself that you will reach it. If you don’t reach this goal you set then you let yourself down. I don’t know about you but I don’t want to let myself down. I’m my biggest critic. What’s even better than reaching your goal is that feeling of “I did it!” Then of course rewarding yourself with ice cream or something delicious afterwards! I’ve seen such an improvement in myself lately by setting goals, because then I strive harder to reach them. For instance, it’s Thursday night and instead of blowing off an assignment by watching Netflix, I go to the library and get it done ahead of time because I said I would have all my work done by Friday. Then I can work on whatever else I need to over the weekend, like writing lovely blog posts! This doesn’t just pertain to students. It’s obviously just easier for me to relate it to something like that because I am one. I wholeheartedly believe I will be setting goals once I’m out of college and thrown into the workforce too. 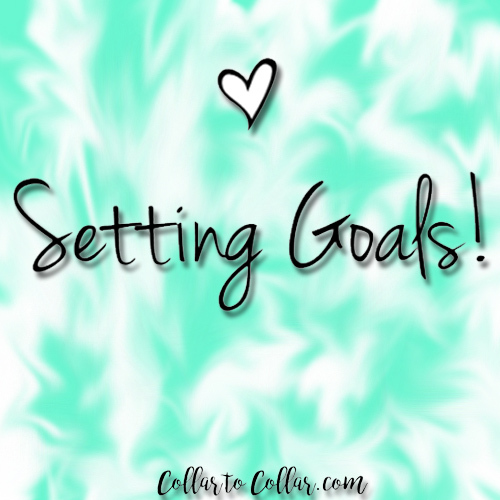 Everyone should have a goal the want to accomplish and be vocal about it. Then, when you do finally reach it, you can celebrate with your posse! What are your goals?